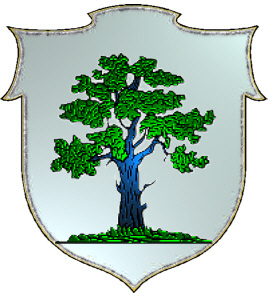 Coat of Arms: A silver shield with an oak tree and mound of grass. 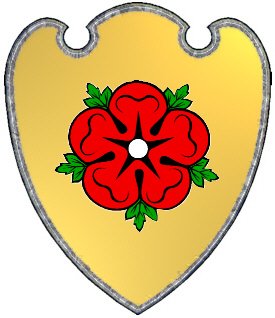 Coat of Arms: Gold shield with a red rose. # LEHMAN. A mailing list for the discussion and sharing of information regarding the Lehman surname and variations (e.g., Lehmann, Layman, Lahman, Lemons, Lemmons, Lemon, Lemmon) in any place and at any time. To subscribe send "subscribe" to lehman-l-request@rootsweb.com (mail mode) or lehman-d-request@rootsweb.com (digest mode). # LEHMANN. 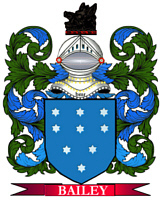 A mailing list for the discussion and sharing of information regarding the Lehmann surname and variations in any place and at any time. To subscribe send "subscribe" to lehmann-l-request@rootsweb.com (mail mode) or lehmann-d-request@rootsweb.com (digest mode).